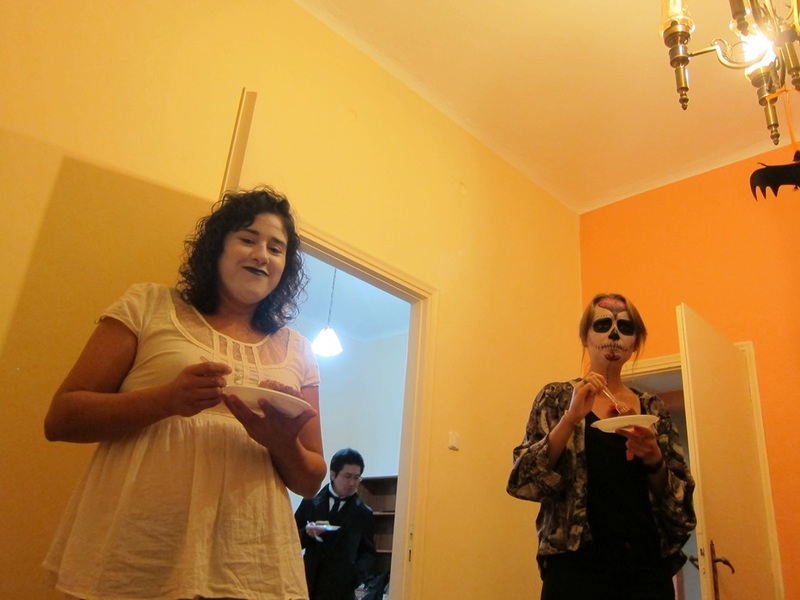 I brought this to a Halloween party last Thursday (so traditional), and it was a hit! Multiple people said it was perfect, and someone else said the texture was excellent, so I think this is definitely one worth throwing together for a brunch or something. 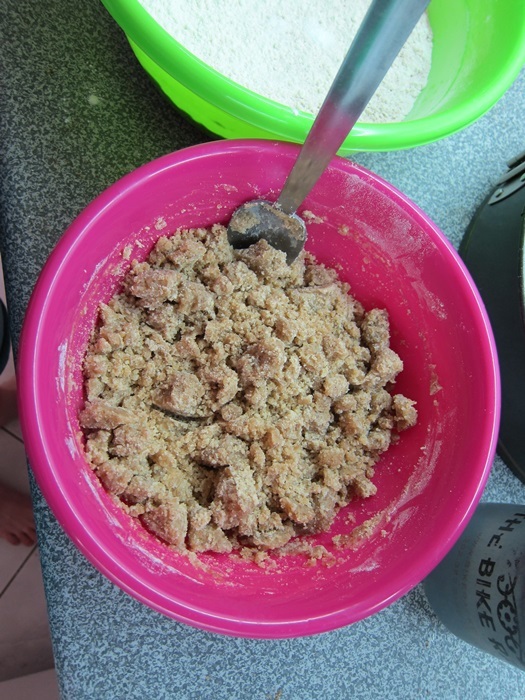 To prepare the crumb topping, first melt the butter. While it melts, stir together the remaining crumb ingredients, then pour the melted butter over the dry ingredients and stir together until well combined. Place in the refrigerator. To make the cake batter, first brown the butter over medium heat on the stove, stirring frequently until it has a lightly nutty smell and small browned bits floating in it. This will take several minutes. Pour into a shallow heat-safe bowl and place in the freezer. Freeze at least 15 minutes, until firm, but not hard. 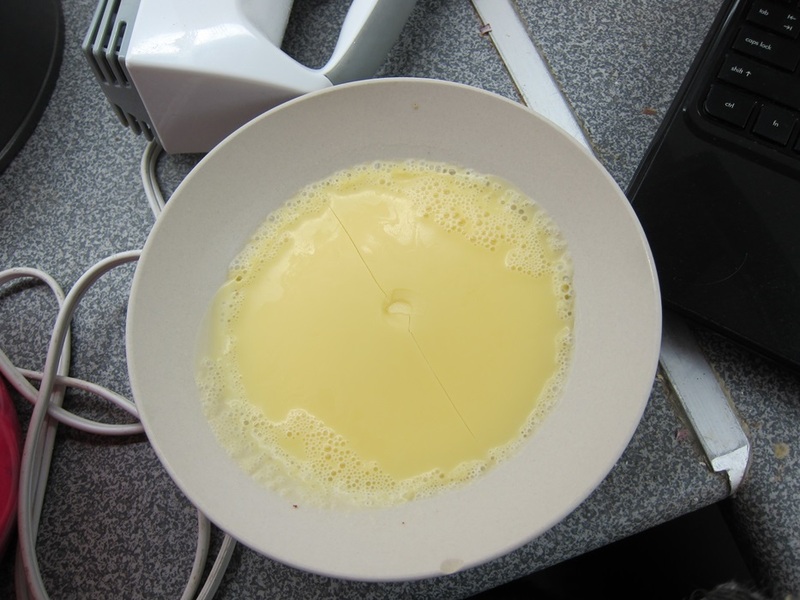 You want it solid enough you can cream (like room temperature butter), not so hard it won’t blend together in a few steps. 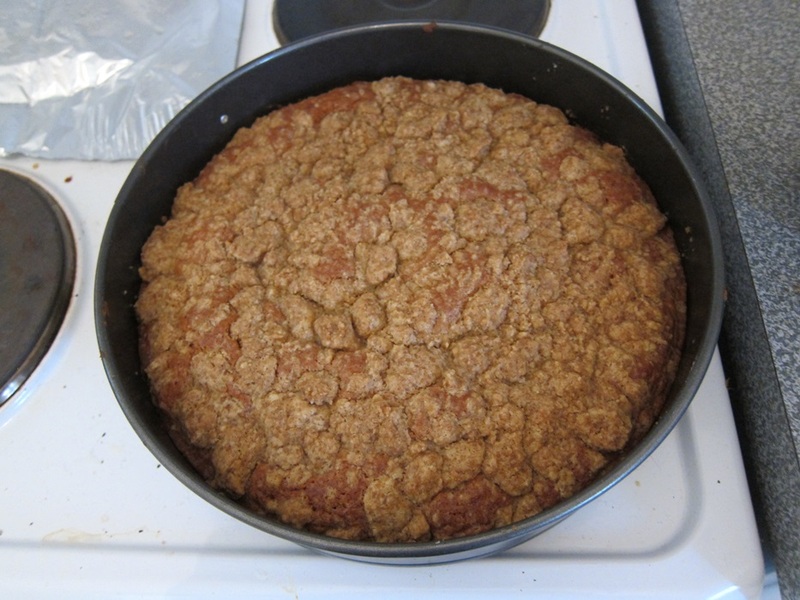 Take your crumb mixture out of the refrigerator and break up the mixture into roughly 1/2 chunks. Set aside to come to room temperature. Preheat the oven to 350 degrees. Grease a 9″ springform. 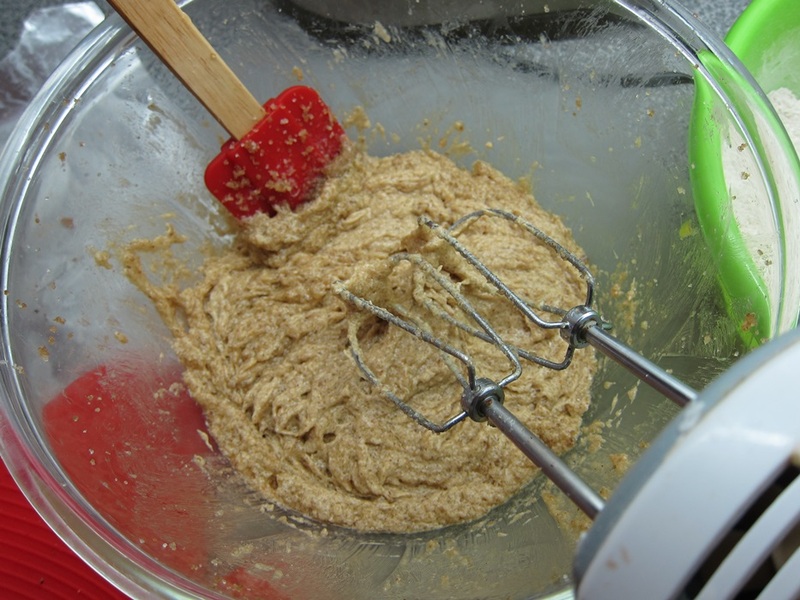 Whisk together the flour, baking powder, cinnamon, baking soda, and salt, and set aside. Scrape the chilled brown butter into a large bowl and add the sugar and brown sugar. Beat together until light and fluffy. Add the eggs and vanilla and beat together. Add the flour mixture in 3 additions, alternating with the Greek yogurt in 2 additions. Transfer to the greased pan. 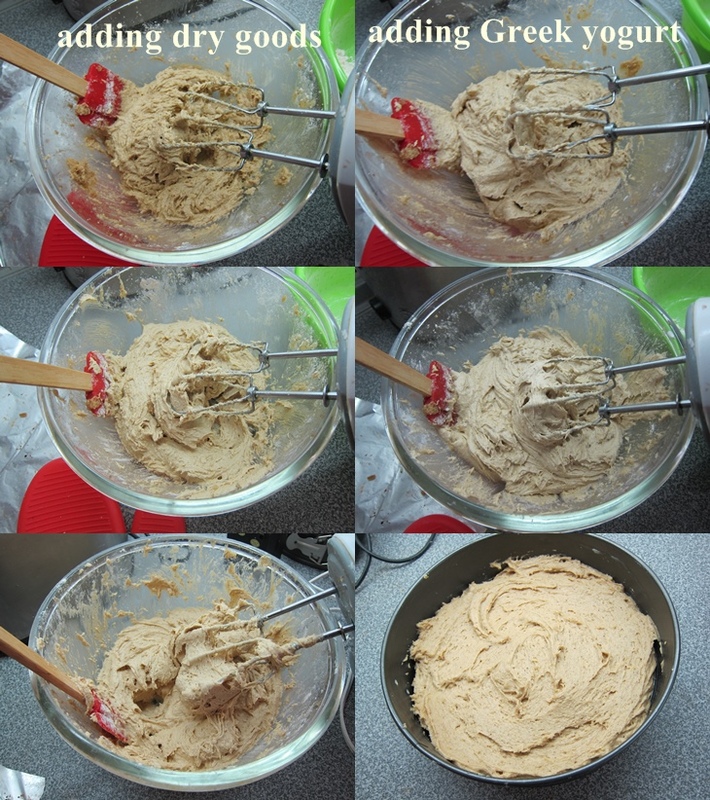 Sprinkle the crumbs over the batter. 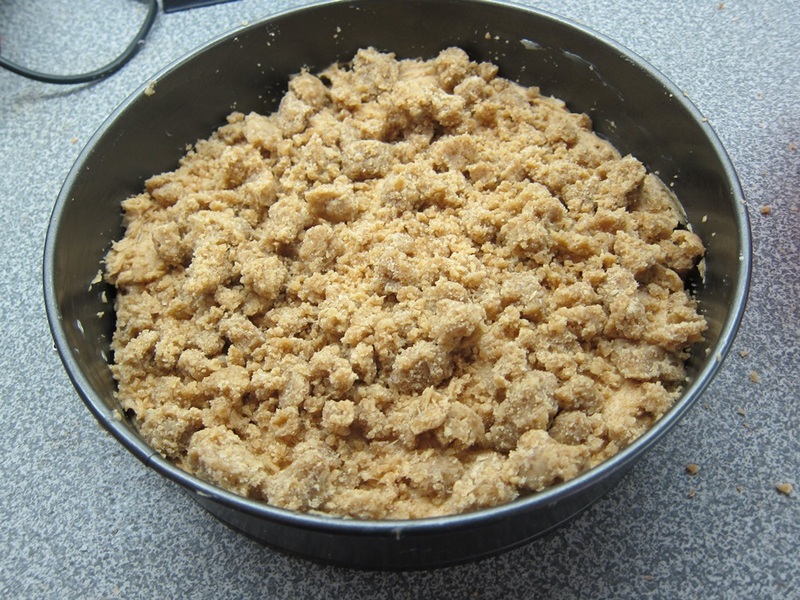 If bits of your crumb topping have broken up too small, you should be able to squeeze them back into larger chunks, like playdough. 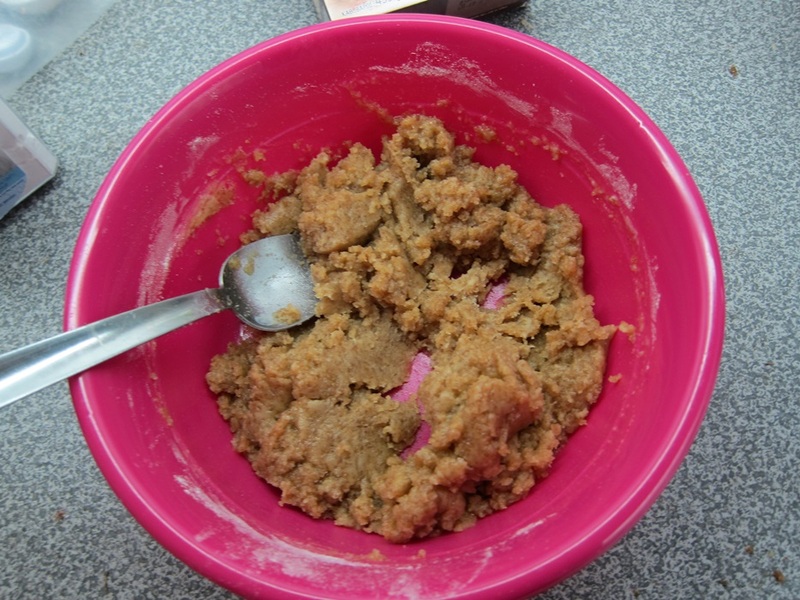 1/2″ chunks are preferable to sort of powder, both for looks and texture. Bake 45-50 minutes, until the cake is golden brown and passes the toothpick test. Cool completely in the pan before serving. Adapted from Break or Bake. To make the cake batter, first brown the butter over medium heat on the stove, stirring frequently until it has a lightly nutty smell and small browned bits floating in it. Pour into a shallow heat-safe bowl and place in the freezer. Freeze at least 15 minutes, until firm, but not hard. 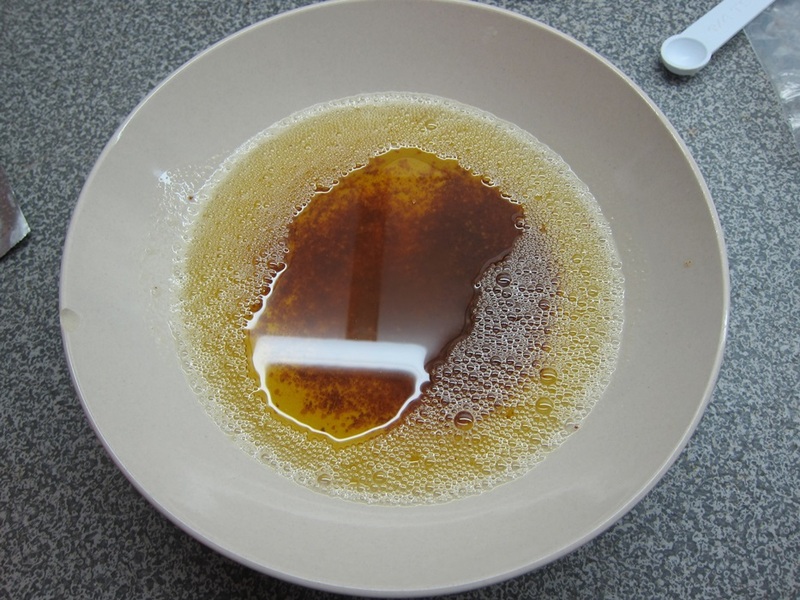 Scrape the chilled brown butter into a large bowl and add the sugar and brown sugar. Beat together until light and fluffy. Add the eggs and vanilla and beat together. Add the flour mixture in 3 additions, alternating with the Greek yogurt in 2 additions. Transfer to the greased pan. 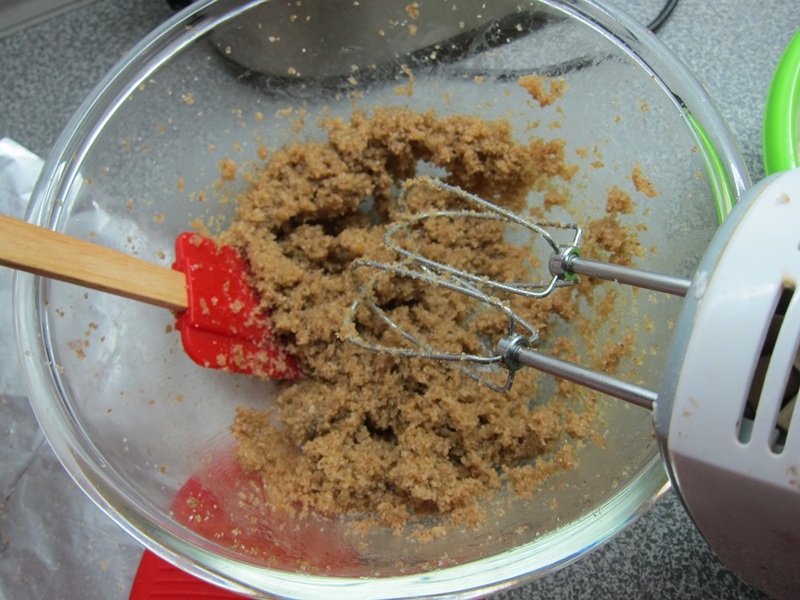 Sprinkle the crumbs over the batter. 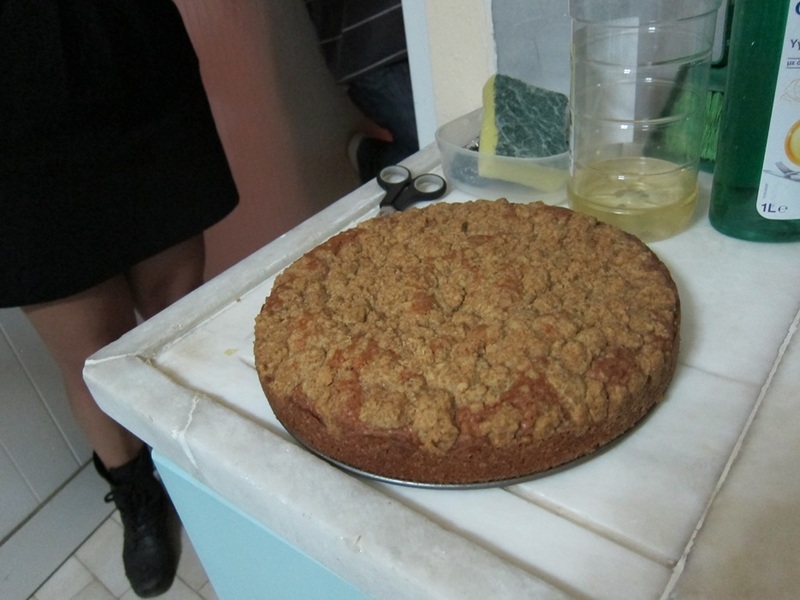 This entry was posted in Brunch, Dessert and tagged browned butter, crumb cake. Bookmark the permalink. Isn’t all yogurt Greek when you’re in Greece?